Watson-Watt invented RADAR for the detection of enemy aircraft in 1935. Born April 13, 1892 in Brechin in Angus, Scotland, he was a descendant of James Watt, the famous engineer and inventor of the practical steam engine. In 1933 the Air Ministry had recently set up a committee to advance the state of the art of air defence in the UK. In World War I the Germans had used Zeppelins as long-range bombers over London and other cities, and attempts to attack them by aircraft had proven to be failures (although anti-aircraft batteries did well). Even though the Zeppelins were over 700 feet long and moved at only 60 miles per hour, in the 20 raids where fighters were launched, they only saw the target three times, and were never able to attack. On February 12, 1935, Watson-Watt sent a memo of his proposed system to the Air Ministry, entitled Detection and location of aircraft by radio methods. The concept clearly had amazing potential and Watson-Watt was promptly asked for a demonstration. This was ready by February 26, and consisted of two receiving antennas located about 6 miles away from one of the BBC's shortwave broadcast antennas at Daventry. Signals travelling directly from the station were filtered out, and a Heyford bomber flown around the site (passive radar). Such was the secrecy that only three people witnessed the test, Watson-Watt, his assistant Arnold Wilkins, and a single member of the committee, A.P. Rowe. The demonstration was a success: on several occasions a clear signal was seen from the bomber. Most importantly, the prime minister, Stanley Baldwin, was kept quietly informed of radar's progress. 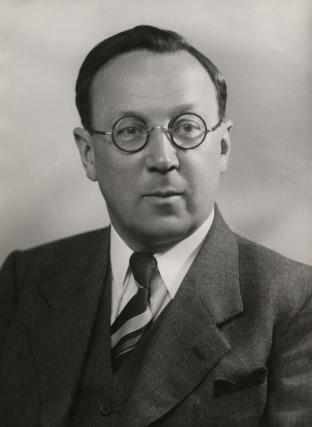 Only two weeks later Wilkins left the Radio Research Station with a small party, including Edward George Bowen (born Swansea, Wales) to start further research at Orfordness. 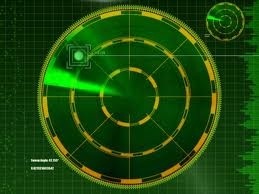 On April 2, 1935 Watson-Watt was granted a patent for radar. By June they were detecting aircraft at 17 miles, which was enough to stop all work on competing sound-based detection systems. By the end of the year the range was up to 60 miles, at which point plans were made in December to set up five stations covering the approaches to London. One of these stations was to be located on the coast near Orfordness, and Bawdsey Research Station was set up there to become the main centre for all radar research. They soon conducted "full scale" tests of a system that would soon be known as Chain Home, attempting to intercept a bomber by radar direction. The tests were a massive failure, with the fighter only seeing the bomber after it had passed its target. The problem was not the radar, but the flow of information from the trackers to the fighters, which took many steps and was very slow. Watson-Watt immediately attacked this problem, and set up the system with several layers of reporting that were eventually sent to a single large room for mapping. Observers watching the maps would then tell the fighter groups what to do via direct communications. By 1937 the first three stations were ready, and his new reporting system put to the test. The results were clearly successful and an immediate order for an additional 20 stations was sent out. By the start of World War II 19 were ready to play a key part in the Battle of Britain, and by the end of the war over 50 had been built. The Germans were aware of the construction of Chain Home but were not sure of their purpose. They tested their theories with a flight of LZ 130, the GRAF Zeppelin II, but concluded the stations were a new long-range naval communications system. In July 1938 Watson-Watt left Bawdsey Manor and took up the post of Director of Communications Development (DCD-RAE). In 1939 Watson-Watt became Scientific Advisor on Telecommunications (SAT) to the Air Ministry. In 1940, Watson-Watt, assisted by John Randall and Henry Boot of Birmingham University, invented the cavity magnetron. This produced a compact source of short-wave radio waves and allowed Fighter Command to detect incoming enemy planes from a much greater distance. The invention of the Magnetron directly led to the invention of the Microwave Oven. In 1941 he travelled to the USA in order to advise them on the severe inadequacies of their air defense efforts illustrated by the Pearl Harbor attack. It is, without doubt, that RADAR gave the British the element of surprise over the Germans during WWII and without it the consequences don't bare thinking about. His contributions to the war effort were so overwhelming that he was knighted in 1942. In 1952 he was awarded £50,000 by the British government for his contributions in the development of radar. He spent much of the post-war era in Canada, and later the USA where he received the United States Medal for Merit in 1946 , and he published Three Steps to Victory in 1958. He established a practice as a consulting engineer, in the 1950s moved to Canada, and later to the USA. He returned to Scotland in the 1960s.